AQUA IMAGES INC., dba SCUBA LUV MAUI. 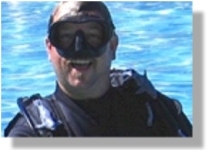 1994-2002 Owner of CATALINA SCUBA LUV, a PADI Five Star IDC Dive Center on Catalina Island, California. 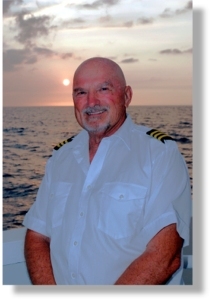 1998 Recipient of the coveted "California Scuba Service Award"
1997 Voted to Board of Directors "Catalina Conservancy Divers"
1996 Started the "Catalina Island Mooring Project", a non profit public benefit organization. 1995 - 2002 Owner/Operator of a dive boat, The Prince Neptune. 1985 First to build a cage and offer shark diving in California! 1976-1984 Owner "SCUBA LUV" in Thousands Oaks, California, a NAUI Dive Center. 1964-1976 Worked for several dive shops in the San Fernando Valley as an Instructor. 1969 Graduated "College of Oceaneering", a commercial diving institution. Steve is a member of the Screen Actor's Guild and has been active in the Industry for 30 years. He has worked as an Underwater Stuntman, Marine Consultant, Underwater Trainer for Stuntmen and Talent, Shark Wrangler and has appeared on camera. His movie credits include Castaway, What Lies Beneath, Waterworld, The Mask, Star Trek, Internal Affair, Navy Seals, Hook, Raising Cane, The Abyss, Leviathon and Jaws. For more info check out his website at: www.aqua-images.com. SPECIAL NOTE: Diana can certify in seven specialties : Scooter ( DPV), Deep, Wreck, Underwater Navigation, Underwater Photographer, Boat Diver and Blue Shark Awareness. 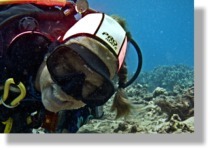 Diana has been in the dive industry since 1990. She also owns an Activity Company and can assist guests with island activities, restaurant suggestions and reservations and general knowledge about Maui and the Hawaiian Islands. SPECIAL NOTE: "I fell in love with the ocean as a small child in California. Moved to Maui in 2006 to live out my dream of being a SCUBA dive instructor. 8+ years and 5,000+ dives later and it still thrills like my first dive did. My mission is to introduce everyone to the majestic underwater world. Our oceans have so much to offer. With the right dive guide, anyone can experience this part of our world. I am always finding something new and love to share the experience with my divers. Whether you've always wanted to try SCUBA and haven't had the chance or are a seasoned diver, I have a dive experience perfectly suited for you. I look forward to diving with you. Come join me!" Certifications: PADI Divemaster, Service Medal "War on Terrorism"
Motto: “Hakuna Matata” - No Worries ! SPECIAL NOTE: "Being born and raised here on Maui, I have always had a close connection with the ocean. Whether it be fishing, swimming, free diving or just relaxing in the water. The first time I went SCUBA DIVING was in the Army! I ended up spending three years as an ARMY DIVER. Now, back home, I enjoy the MAUI waters in a whole new way and absolutely love it! SPECIAL NOTE: Tim, or "Timmerz" as we call him, is the owner/operator of TINY BUBBLES SCUBA, our sister company, in Ka'anapali. 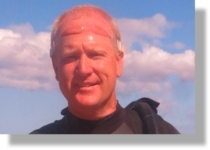 Tim and his professional staff handle all our dives on the west side. This enables our divers to experience diving on all sides of the island and still stay close to their hotel! You will "luv" his POSITIVE energy and amazing teaching skills! . FOR DETAILED REVIEWS FROM OUR GUESTS ABOUT OUR STAFF, GO TO : Trip Advisor AND CHECK OUT OUR “FIVE STAR RATING”!